Sal, an island in the Cape Verde archipelago, is located in the Atlantic Ocean off the west coast of Africa. The islands are fairly new to the tourist scene and Sal holidays offer a peaceful retreat from the bustle of twenty-first century living. The island benefits from an international airport with good flight connections to the UK and a flight time of six hours. Holidays to Sal can be taken at any time of year as the average annual temperatures lie in the late twenties and the sea temperature lies in the low to mid twenties. Holidays to Sal attract water sports enthusiasts, families and couples who enjoy beach life. Conditions are ideal for surfing and the waters teem with life making them a haven for divers and snorkellers. There are many sheltered bays and coves offering safe bathing for children and less confident swimmers. 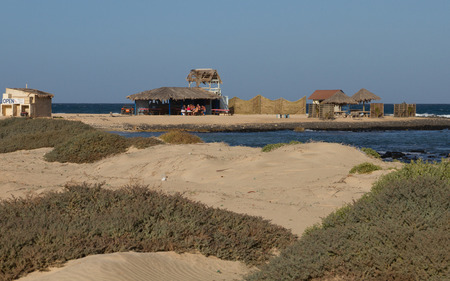 Holidays in Sal provide a tranquility that is often hard to find in tourist areas. If you are looking for a remote spot where you can relax undisturbed in guaranteed sunshine, check out our cheap Sal holidays and you could soon be winging your way to a small corner of paradise. The island has limited shopping and, although it is the liveliest in Cape Verde, nightlife remains low key. If this appeals, Search now to find our latest Sal holiday deals.